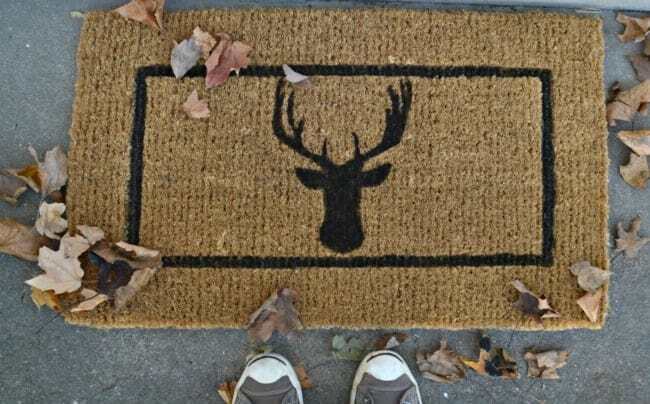 A DIY deer head doormat made with a homemade stencil. I hope you’re ready for Christmas projects, because I’ve been busy cranking them out (well, they’re not all finished but I have been busy starting as many as I can and then leaving them lay all over the house 😉 ). 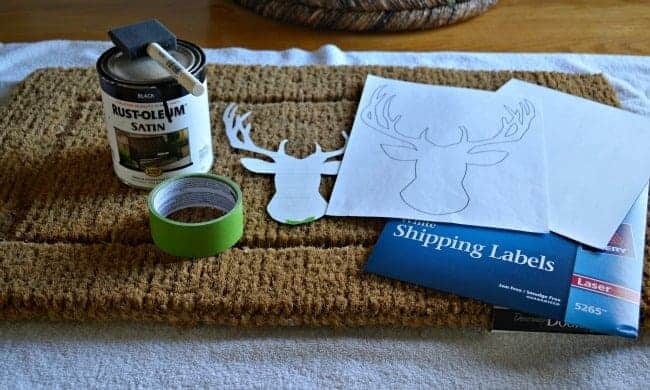 One project that I have been able to finish was this quick and easy DIY deer head doormat. 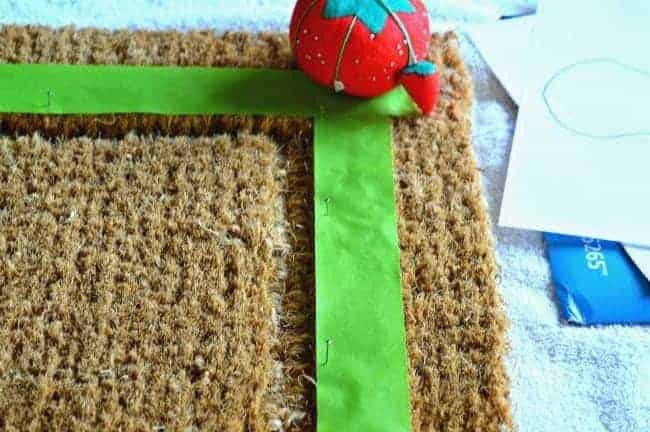 I desperately needed a new doormat and when I found a plain coir doormat, I knew I could add a little something to it and it would be perfect for my front porch. 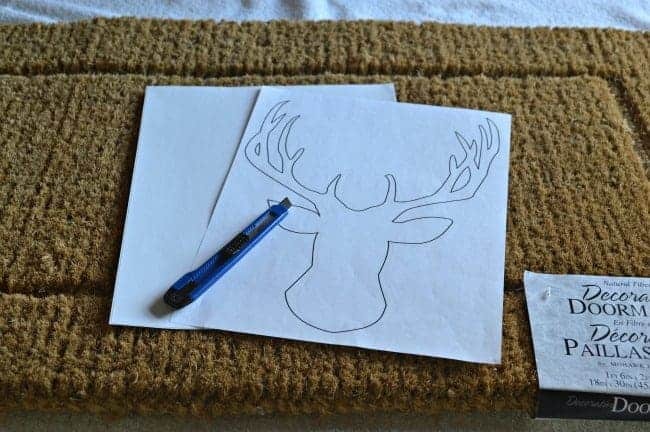 I’ve been itching to use a free deer head printable that I found online last year, and this was the perfect project for it. I’ve used shipping labels before, when I did my dog silhouette project, and they worked out really well so I went with them again. They are thicker than the printer paper so it makes it easier to use as your stencil. The first thing I did was to print out the deer head silhouette. 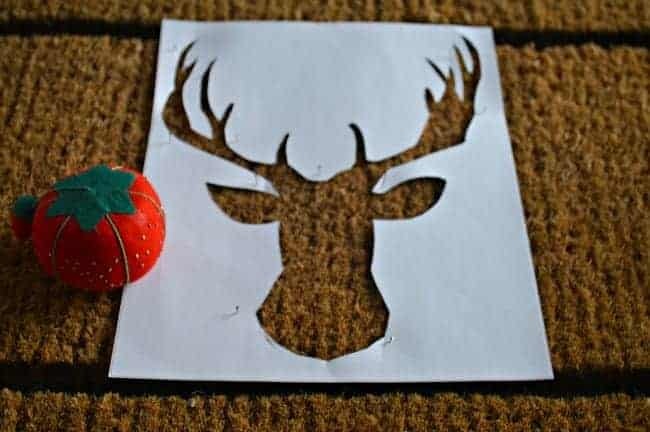 Then I placed the printed sheet on top of the shipping label and, using a razor knife, I carefully cut out the deer head. Once the deer head was cut out, I was ready to start painting. 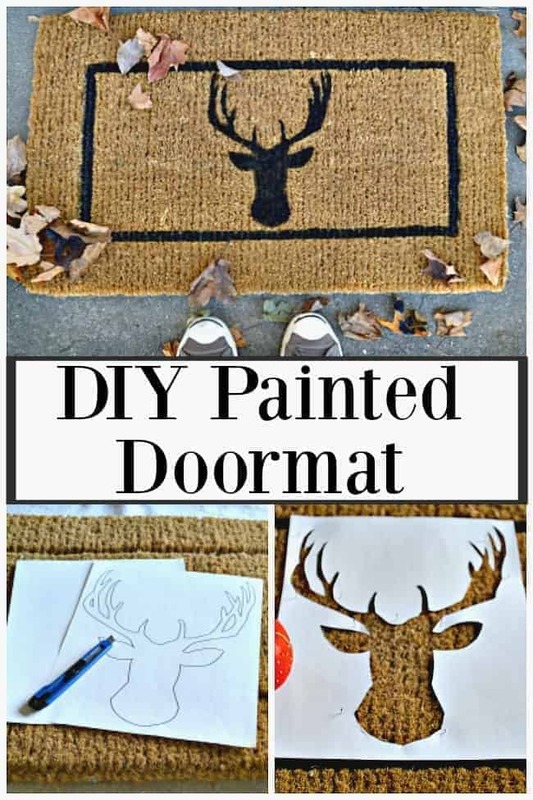 There was a channel in the doormat so I used it to make a painted frame around my deer head. You can skip this step but, because I’m a bit of a perfectionist, I used painter’s tape to keep my lines straight. 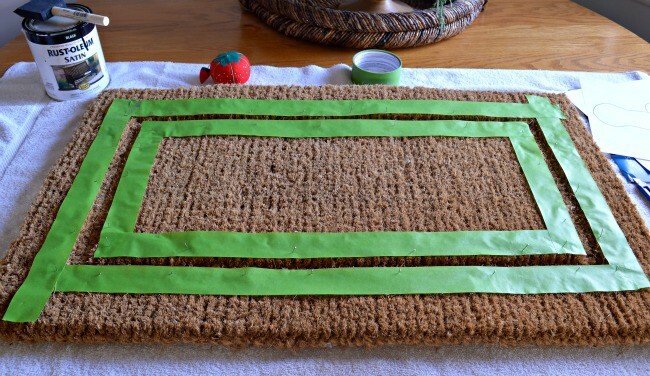 If you’ve ever stepped on one of these doormats then you know that they are stiff and course and tape doesn’t want to stick to it, so I used straight pins to keep it from moving around while I was painting. Once it was taped and pinned, I painted the “frame”, removing the tape as soon as I was done. Next, it was time to do the deer head. I placed the shipping label on the mat, centering it in the frame, and pinned it to keep it in place. Stippling with the brush, I painted the deer head. I had to work a little to get the paint into the coarse fibers, but it covered well. As soon as I finished painting, I removed the stencil and let the doormat dry. I love how it looks on my front porch. 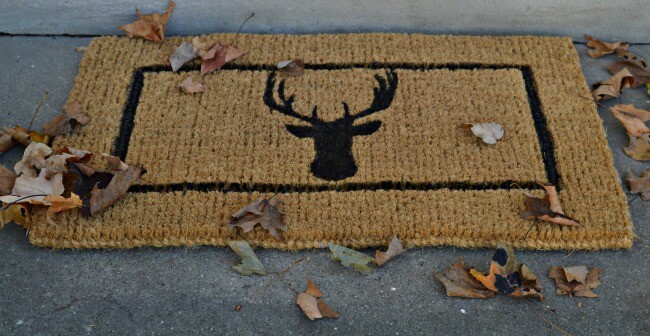 Now I need to decorate the rest of the porch to go along with my new deer head doormat. Have you started your holiday decorating yet? Fabulous! I think that even I could manage this one! Thanks Kim! It really was a super easy project. Looks good. Great idea using shipping labels. I can;t wait to see your house decorated for Christmas. Sounds like a doormat is in your future, and this one seems perfect for you. I’d love to hear if you make one. Happy late Thanksgiving and a great start to a wonderful Christmas Holiday. Thanks so much Phyllis, same to you! I hope that you both are well and that you had a great holiday.